Treating customers like family is both a guiding principle and a way of life for the award-winning Alvin Cain Group. Comprised of industry professionals, and life long friends, ACG is dedicated to listening intently and matching individuals and families with the properties, buildings and neighborhoods that best suit their needs. Our reputation for first class service, attention to detail, and high achievement makes us the most well-respected and sought-after real estate professionals in Louisiana. Clients seek out our team, other agents look forward to working with us on transactions, and our team members enjoy the satisfaction of huge results and constant growth. 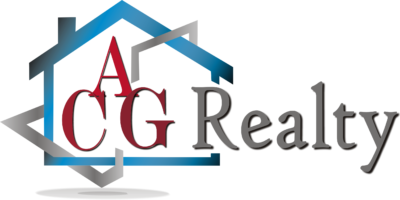 ACG Realty’s mission is to make an extraordinary impact on the world through the business of real estate. We raise the bar through making a difference in the lives of the people we serve by meeting their goals, acting with integrity, and building life-long relationships leading to constant referrals and repeat business. A community is not made of brick and mortar alone. A community is defined by its people; its residents, its proprietors, even its visitors. For a community to prosper, it requires vision, proper planning, and careful attention to detail. It requires adaptability, knowledge of the area, and strong partnerships. And in order for a community to be commercially successful and maintain sustained growth, it requires a long-term commitment. Only then can a community truly thrive. ACG Realty is dedicated to developing communities and homeowners in South Louisiana that offer a sense of place, pride and commitment. Whether enhancing existing neighborhoods, or developing from the ground up, ACG Realty’s track record of creativity, problem solving and resilience is reflected in a portfolio bustling with life – and thriving. Give us a call today and we will be happy to help you find your piece of happiness here in Louisiana.